From the perspective of native pollinators, Claire Kremen will describe how our current food systems is not only unhealthy for the planet, but also for pollinators and people. 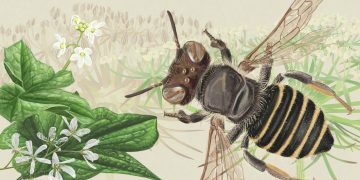 She will describe studies of native bees and other pollinators that reveal how we can create environmentally-friendly farming systems that are also highly productive. This is part of the Biodiversity Lecture Series, organized jointly by the Biodiversity Research Centre and the Beaty Biodiversity Museum.